The "other" Asus smartphone lineup is releasing the Pegasus 2 Plus X550. It's another value-for-money handset. Get it here! Aside from the popular handsets from the Zenfone line-up, Asus also spawns several high-performing smartphones every now and then. 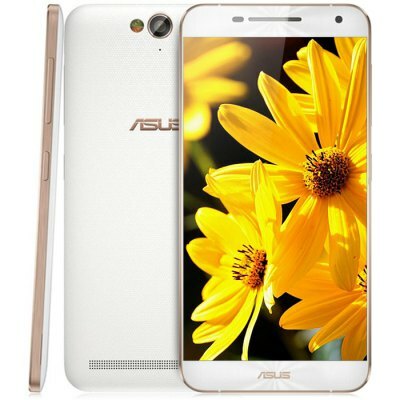 This season, the company releases the Asus X550 smartphone. It is also dubbed as the Pegasus 2 Plus which basically branched out from the Pegasus line-up released last year. This handset is positioned in the mid to upper mid-tier market wherein most of the consumers are seeking for value-for-money deals. Specs-wise, this device packs a lot marketable features. For one, the Asus Pegasus 2 Plus X550 frames a 5.5-inch diameter with 1080 x 1920 pixels which is becoming a standard in this market segment. This instantly makes the display panel pack a 441 ppi pixel density. Under the hood, you’ll get the Qualcomm Snapdragon 615 MSM8939 which packs eight cores of Cortex-A53 clocked at 1.5GHz speed. Likewise, the Snapdragon 405 GPU is also up for graphic-demanding jobs. The Pegasus 2 Plus features a generous addition of 3GB of RAM which could definitely provide ease in app launching and multitasking operations. What's even more exciting is the fact that the Asus Pegasus 2 Plus X550 comes with a beefier 32GB variant where you can store more multimedia files on the go. For the camera buffs, this phablet is defined by a 13-megapixel sensor coupled with an LED flash. Flipping it over, you’ll see the 8MP front-facing camera for social media selfies. Other noteworthy features are the juicier 3030 mAh battery and the complete set of sensors found in a typical midrange handset. Of course, the Zen UI will keep the aesthetics of the software intact on top of the Android 5.1 Lollipop. You can get the handset with a presale price of USD 275.89 via Gearbest.